The beaches of Kenya have everything for a tropical vacation: soft white sand beaches lined with palm trees and good quality beach resorts offering all the luxury you could want. But the Kenya beaches have much more to offer than just sun and sand! While I wrote about the culture and historical things to see on my page about Kenya Beach: Cultural Highlights, the page below focuses on things to do, including the great water sports options of the beaches of Kenya. I’ve put up a separate page about the best Kenya beach hotels. While enough of them are high quality, this doesn’t go for all, so don’t just book any beach hotel without checking. According to diving experts, the scuba diving facilities on the beaches of Kenya are among the world’s best. The water is warm all year, so you can dive without a wet suit. The protective reefs, located several miles from the coast, have created calm and safe waters. The reefs are beautiful and in very good condition. During the diving season (October to March) there’s excellent visibility, and the water is home to exotic fish in every color and shape you can think of. Harmless whale sharks, a highlight for any diver, are here as well. Outside October to March, visibility is often much worse because of heavy silt flow from the rivers. Most diving bases are around Malindi, Watamu and the coast south of Mombasa. Fishers are banned from the waters of Watamu National Park. Diving or snorkeling gear is available for rent everywhere, and most hotel along the coast provides the possibility to take diving lessons (though they aren’t cheap). Wind surfing has been a part of the beaches of Kenya since the 1970s, with many places offering gear for hire or lessons. More recently, especially Diani Beach is making a name with kite surfing as well. The kite surfing conditions are especially good between December and February, with the afternoon wind between 4 and 5 Beaufort, ideal for beginners and experienced surfers alike. If you’re looking for opportunities to sail yourself, then joining the yacht clubs of Mombasa, Kilifi or Mtwapa is a good idea. Membership of the Mombasa Yacht Club (the biggest) is 500 KSH per week. Club evening is on Wednesday, and if you’re lucky you meet people there who are willing to take you on board. Other towns along the coast frequented by sailing ships are Kilifi and Mtwapa. Dhows are the traditional sailing vessels Arab traders used to cross the Indian Ocean. They are still used for fishing and getting around. These days you can also hire a dhow with crew for trips ranging from a few hours to several days. Usually, meals consists of fresh caught by the crew and it’s possible to spend the night on board. Some dhows are more luxurious while others (especially those leaving from Lamu Island) are more basic. Note that while you will be sailing whenever possible, it’s only the more luxurious vessels that also have outboard motors. So you may experience some delay with sailing-only dhows in case of no wind. As a rule, you aren’t expected to sail yourself, so better check with a yacht club if you're looking for that. Many beach hotels etc. 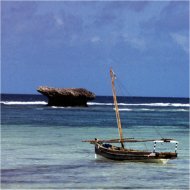 in Kenya offer glass bottom boat trips to the beautiful reefs, located a few miles from the coast. Check the visibility before booking, but in the good periods you’ll have a beautiful, deep look into the water, the beautiful coral reefs and the exotic fish. On many beaches, locals offer camel rides. They are fun and aren’t expensive. Some tour operators, by the way, have taken it step further and offer ‘camel safaris’, multiple-day itineraries in various wildlife parks. Next to lake and river fishing (where a lot of trout is), the protective reefs also ensure some good options for ocean fishing, including night fishing and going after sharks. This is especially done around Watamu, Malindi and Mombasa. In general, the fishing seasons runs from August to April, but it differs by species, and the weather is something that can change things as well. So check everything in advance. 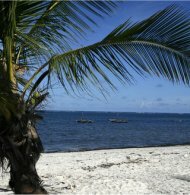 All in all, the beaches of Kenya have more to offer than most travelers think!